"Would you like to send investigators?" Kurt Blome was a high ranking Nazi who served as the deputy health minister to the Third Reich and researched bacteriological warfare, using cancer research as his official camouflage. Interestingly enough, Blome was fascinated by the use of carcinogenic agents and cancer-causing viruses. In 1943, Blome experimented with plague vaccines on concentration camp prisoners, exposing thousands to tuberculosis and the bubonic plague. He also exposed prisoners in Auschwitz to Sarin gas, which is a nerve agent that is classified as a weapon of mass destruction. 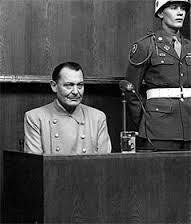 Three years later, Blome was tried at the Nuremberg Trials for euthanasia and human experimentation, but was acquitted by U.S. Army Intelligence. After an extensive interrogation, Blome disclosed all the secrets to German biological warfare experiments, including biological agents like the plague, cholera, anthrax and typhoid and surrendered the names of other experts in this field. American military intervention saved Blome from the gallows and in return he offered to develop germ warfare for our country. 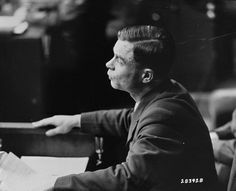 However, in order for Blome to qualify for admittance into America under Truman's jurisdiction, military officials withheld incriminating evidence that demonstrated his role as a supervisor of such horrific experiments. Blome's warped ideas of research lead to the torture of innocent people in the concentration camps, but military officials overlooked such crimes because they could not risk allowing the tendrils of Communism to poison the international community.